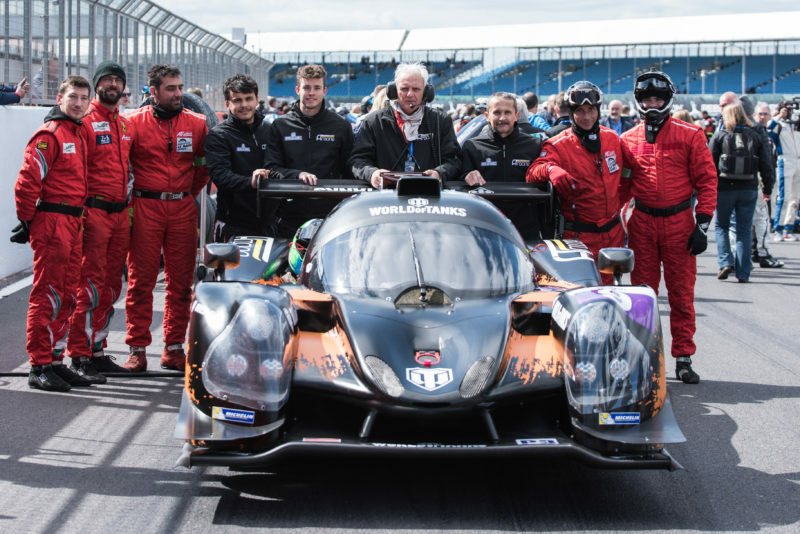 The first round of the 2017 European Le Mans Series saw AT Racing drivers Alexander Talkanitsa Jr. & Sr. and Mikkel Jensen fiercely contest the 4 hours of Silverstone over the Easter Weekend. After qualifying in a phenomenal first place around the 3.661 mile Silverstone GP circuit with ELMS LMP3 rookie Mikkel Jensen at the wheel, the #09 WorldOfTanks branded Ligier JS P3-Nissan took the start of the race with Alexander Talkanitsa Jr. at the wheel. Junior, a Silver rated driver, lost some positions in the initial laps of his stint but was able to maintain a manageable gap to the podium positions. The second and third hour of the race saw Alexander Sr., a Bronze rated driver, was able to keep several drivers in his sites during his stint, making life easier for the young Dane in the latter stages. With Mikkel driving for the final stint, he chased down and overtook several contenders in a space of a few laps. After 118 laps of racing, the team secured fourth place and 12 (+1 for pole position) points. The second round of the ELMS will be held on the 14th of May in Monza.